An official memorial will be unveiled in Wellington today to commemorate the ‘Coast Watchers’ who were executed on the Gilbert Islands (Kiribati) during the Second World War. 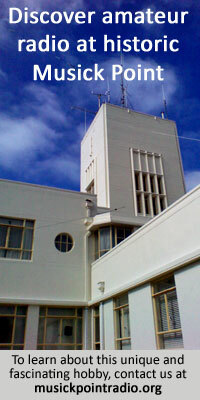 During the war, New Zealand established up to 62 coastwatching stations on various islands throughout the Pacific to track enemy movements. On 15 October 1942, 17 New Zealander volunteers – 10 soldiers and seven Post and Telegraph Department men working as radio operators on Tarawa (formerly the Gilbert Islands) – were brutally killed by Japanese forces. An 18th died soon after. Three British and two Australian civilians were killed. A memorial wall will be unveiled at New Zealand Post House by 94-year-old John Jones, the last surviving Gilbert Islands Coast Watcher, and Governor-General Sir Jerry Mateparae. New Zealand Post chief executive Brian Roche said New Zealand Post, as well as Spark and Chorus, are linked to some of the Coast Watchers who died. The wall honours a commitment made at a special service that was held at the National War Memorial in 2012 to coincide with the 70th anniversary of the deaths, Mr Roche said. Invited guests include families of those who died and family members of other Pacific Island Coast Watchers; representatives from the New Zealand Government; the Mayor of Wellington; diplomats from Australia, the United States, Britain, Japan and Kiribati; members of the New Zealand Defence Force and representatives from the Returned Services Association.